Ref. 05349 - Close to main roads and shops, this beautiful 330 m² contemporary villa is set 2 800 m² of grounds with pool. -A bedroom of 35 m² with a shower room and a dressing room.A study, and guest's wc. -Bedroom of 20 m² with a bathroom and a terrace, a study/laundry and an equipped kitchen. The terraces have a nice view of the garden. The swimming-pool, is set in the well maintained garden. 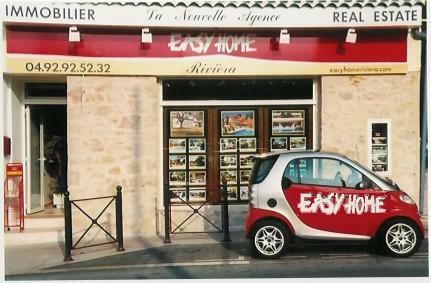 -Garage, shelter parking for a car+ parking.EasyHomeRiviera.